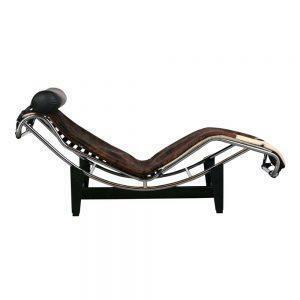 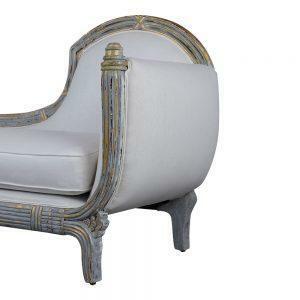 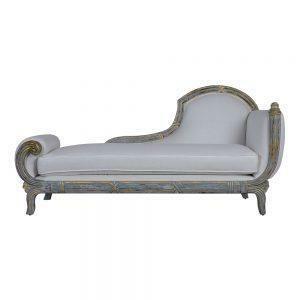 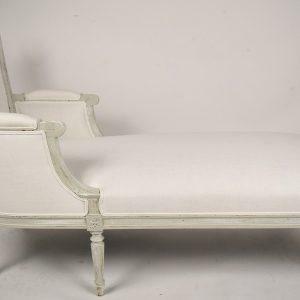 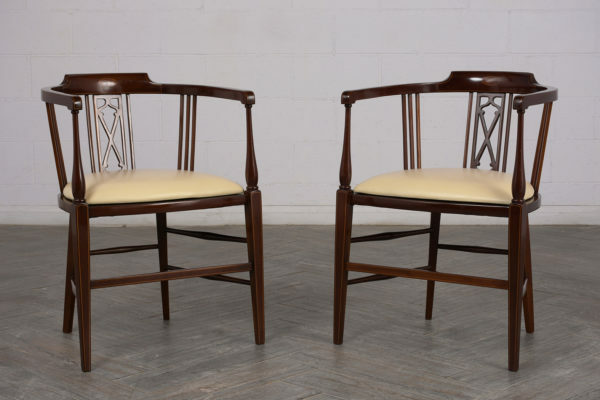 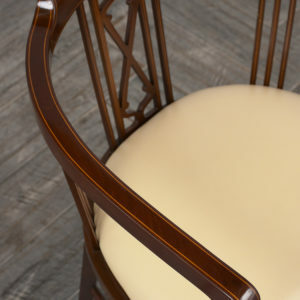 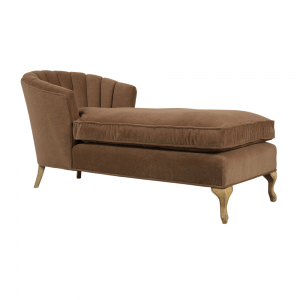 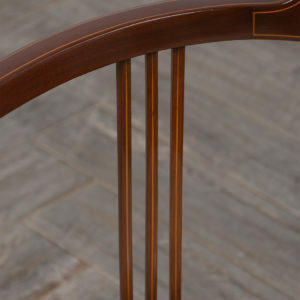 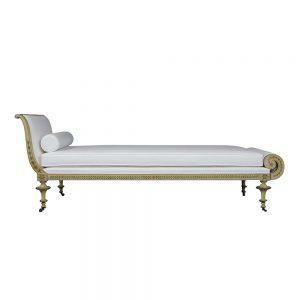 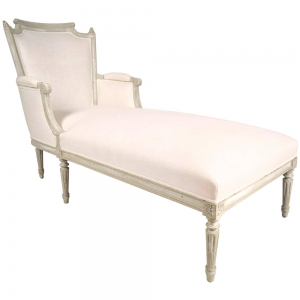 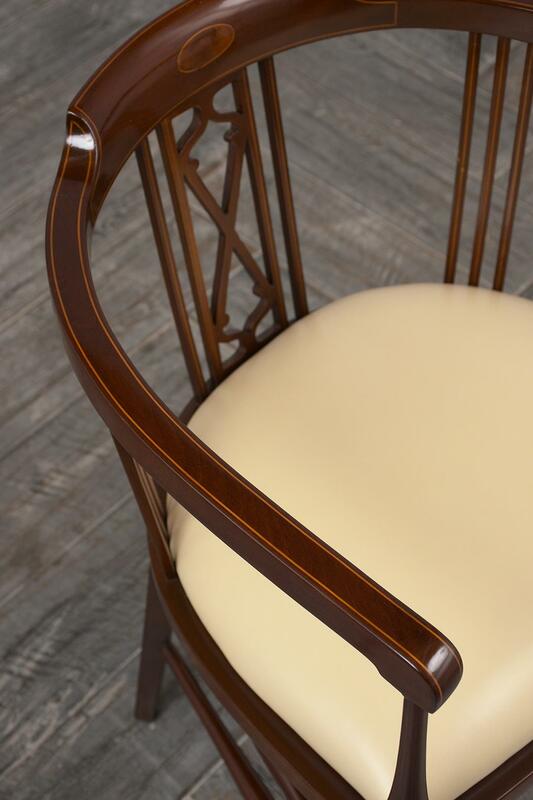 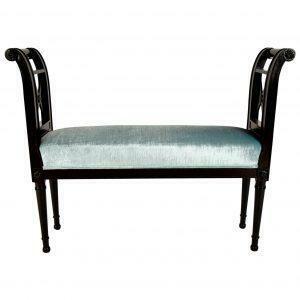 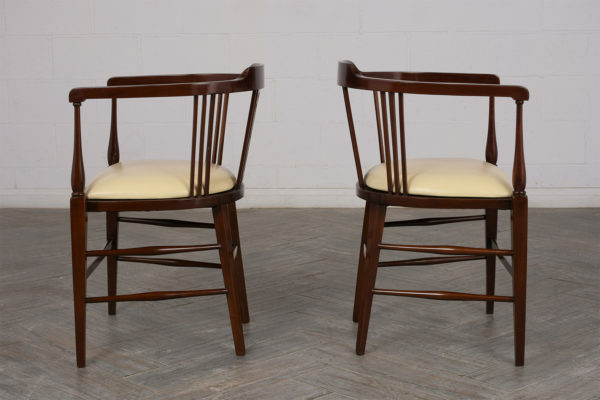 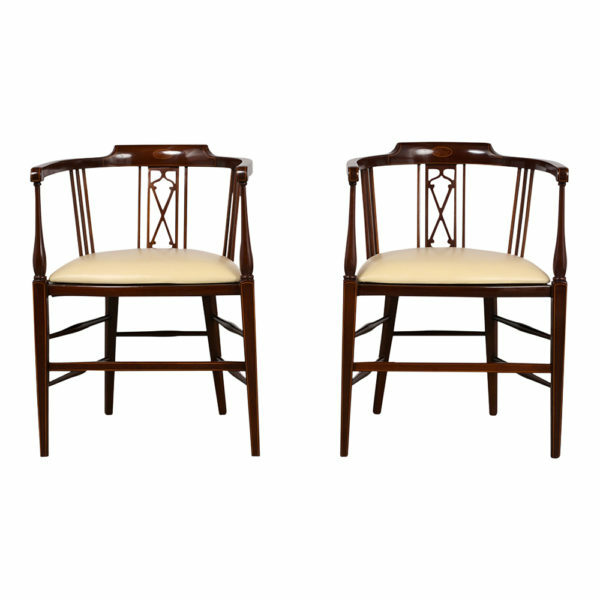 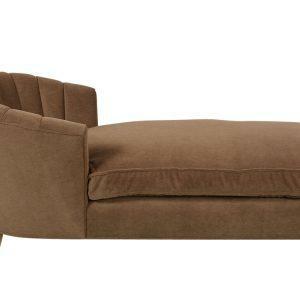 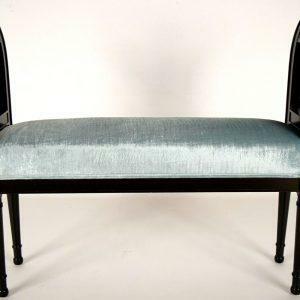 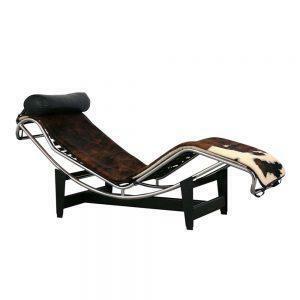 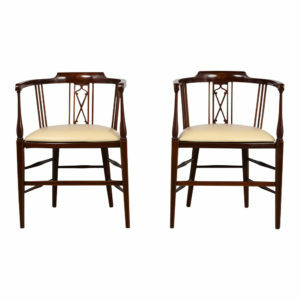 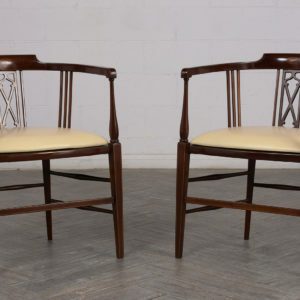 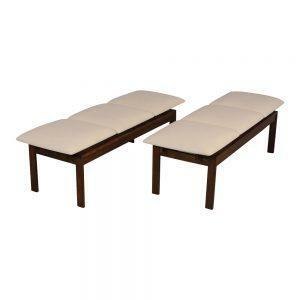 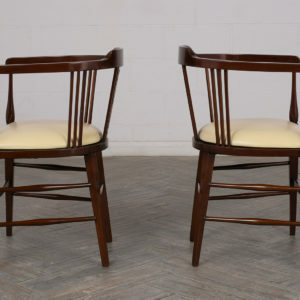 Armchairs made out of solid Mahogany wood featuring a curved back and stretched tapered legs with inlay design. 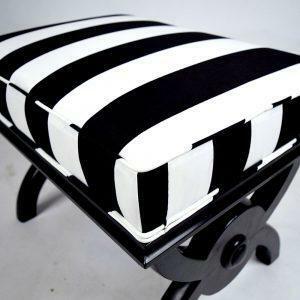 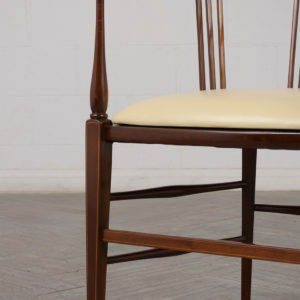 Leather seat has been newly upholstered. 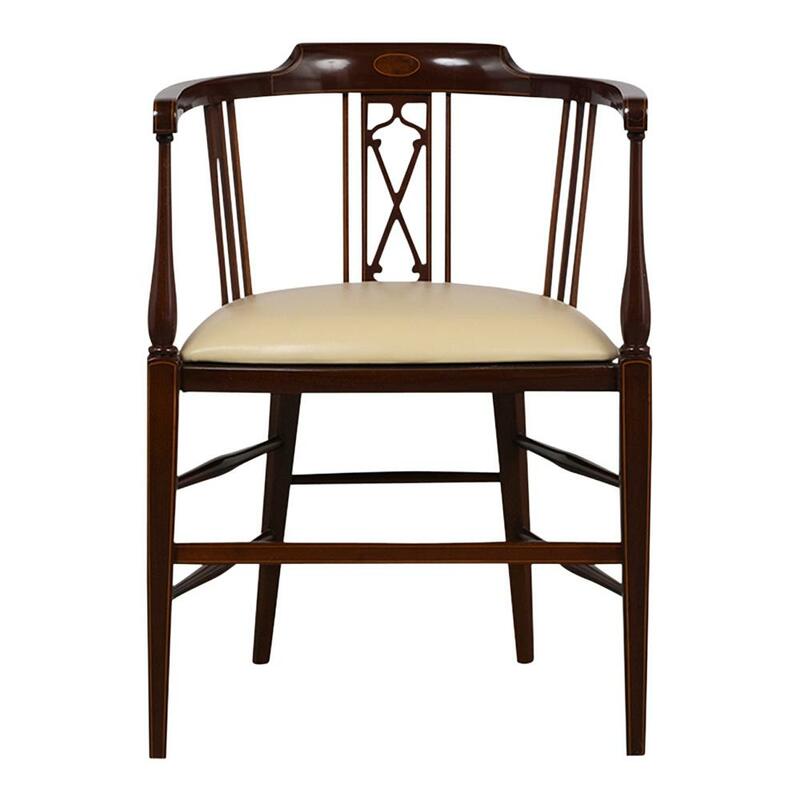 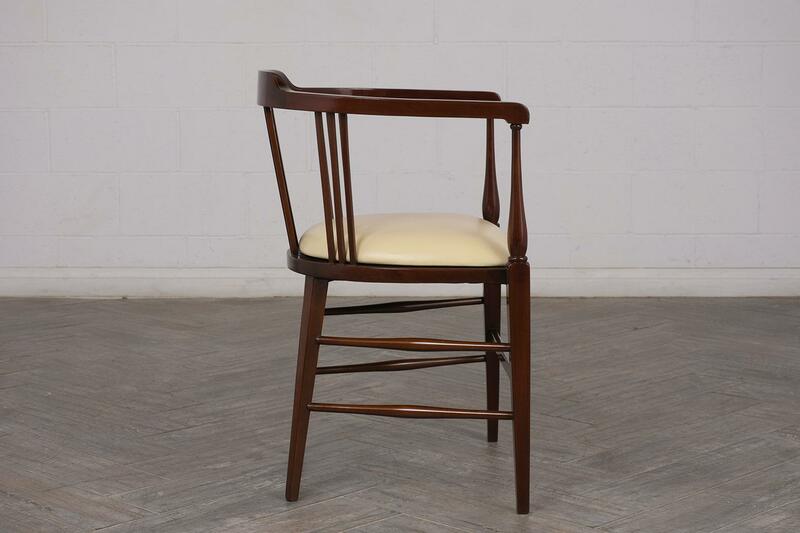 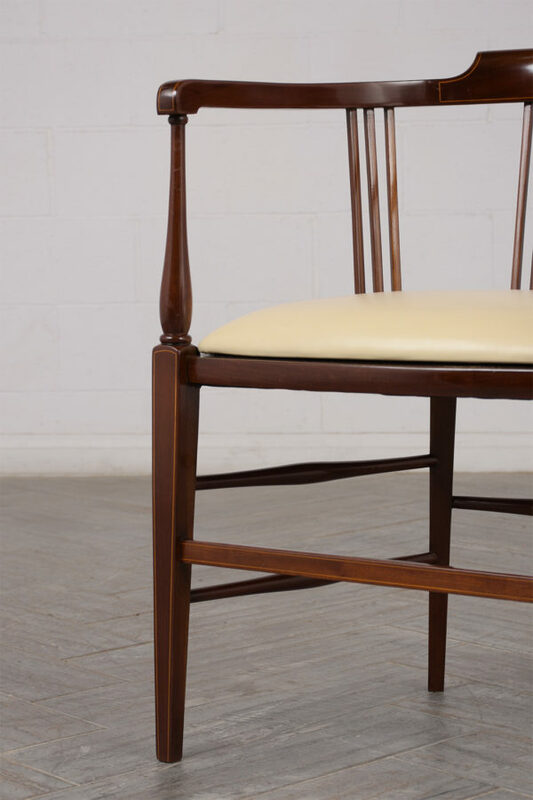 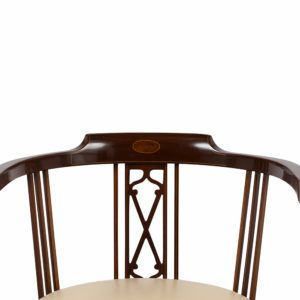 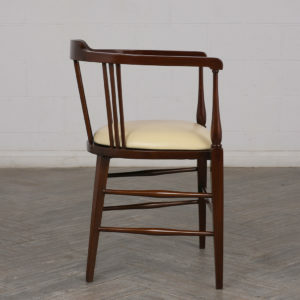 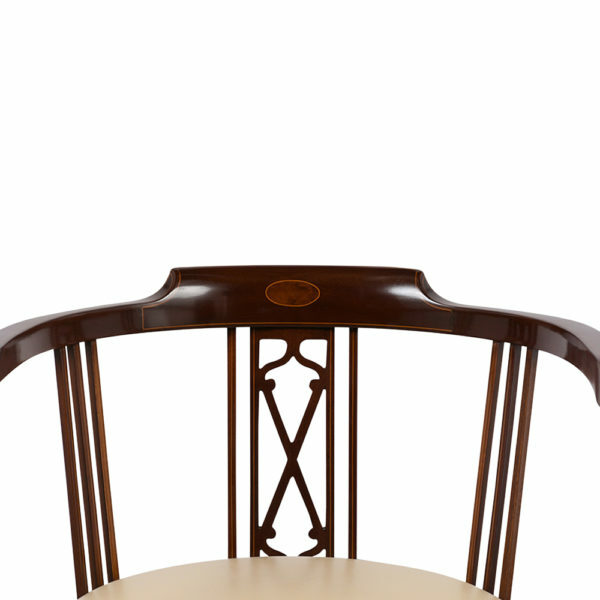 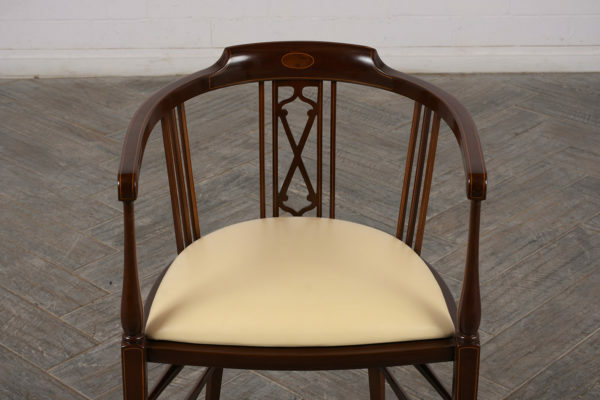 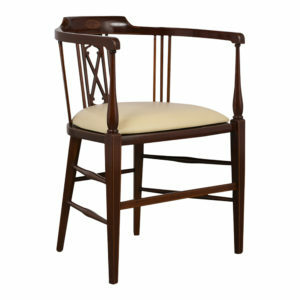 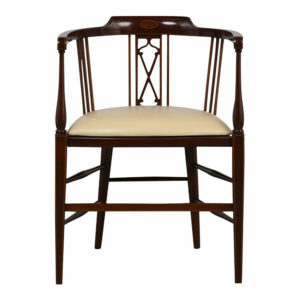 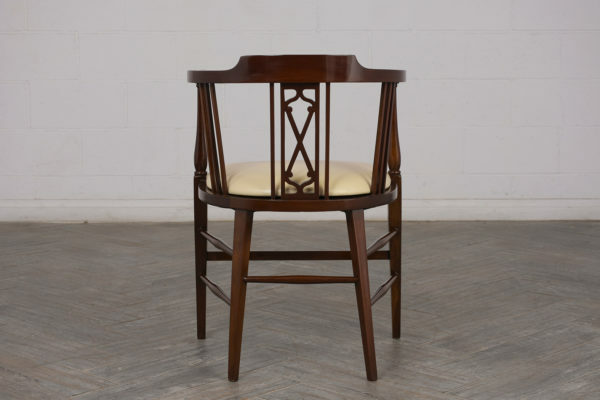 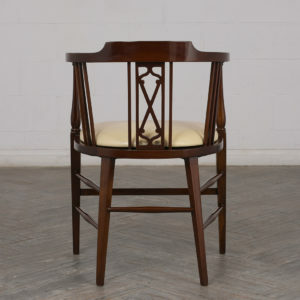 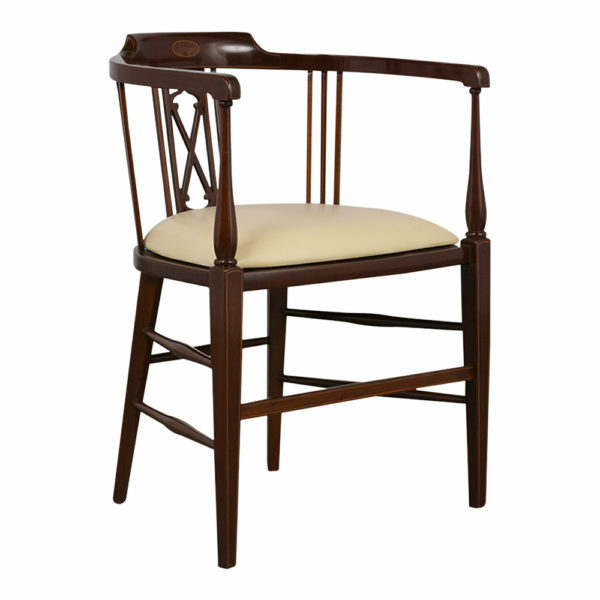 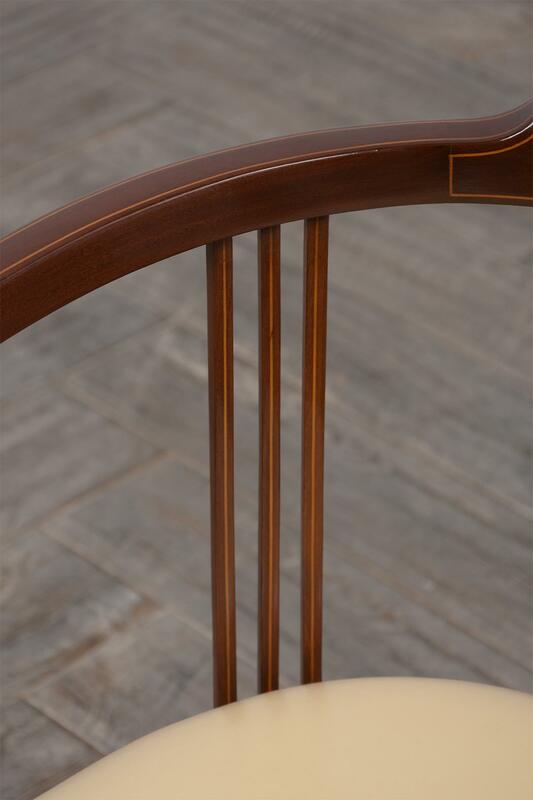 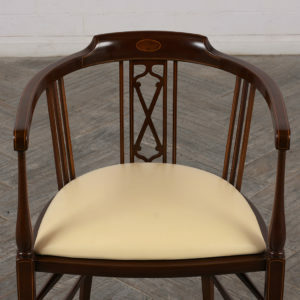 The chairs come in their original rich dark walnut finish and are ready to be used in any home for years to come.